Today, 14th August all tickets are available from SWALK, 66 High Street, Lindfield RH16 2HL. 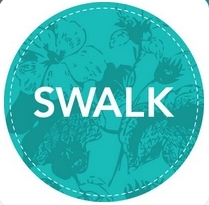 Our lovely friends SWALK have kindly volunteered to sell tickets and register everyone for workshops. They have a box full of beautifully printed tickets and a laptop to note down your details so LAF 2015 will know what you are wanting to attend during the Festival weekend. African Drumming - £5.00 on Saturday 19th at 3.00pm in the Community Hall, Lindfield Primary School. Over 14 years only. When buying tickets there is a restriction of 3 per person. Burlesque - two sessions at the Bent Arms in the upstairs Function Room. This is for Ladies over 18 years only and is £5.00 a session. Mid Sussex Sinfonia at 8.00pm in All Saints Church with tickets £10 and concessions £5. Tickets are also on sale at Carousel Music, Commercial Square, Haywards Heath for this concert. Donations are requested for the puppet show - The Old Man of Orford, Sunday morning at the Lindfield Primary School.